I’m sure that for a lot of people, toner is necessarily associated with cleansing milk and that these two products are clearly part of long forgotten skincare habits. 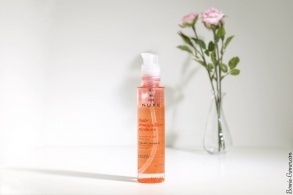 Micellar waters, a kind of super 2 in 1 product, have buried toner and cleansing milk for quite some time now. But toner is not only intended to be used to rinse cleansing milk, far from it! It has many qualities and I really want to say it loud and clear: “Let’s rehabilitate the toners!” (I know, I’m fighting for the real and important battles, here wink ). 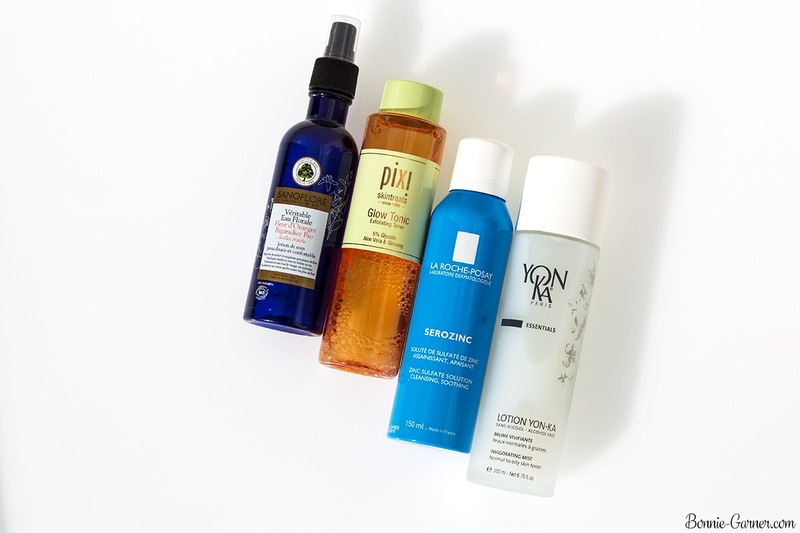 At first glance, you might think that toners are nothing more than fancy water in pretty bottles. Indeed, the lotions are mainly composed of water. But not only! When you look closely at the ingredients list, there are also various active ingredients such as treating plant extracts, exfoliating and anti-age ingredients etc. Toners are usually liquid and they can be applied either with a cotton pad or by spraying it directly on the skin and massaging it to help penetrate into the skin. They’re generally used immediately after you’ve removed your make-up / cleansed your skin, and before applying the rest of your skincare products (serums, eye contour, day creams or night creams). The toner is generally used as a supplement to the cleansing product. Its main purpose is to complete the make-up removal or the skin cleansing by eliminating the remains of make-up, impurities, dead cells etc and to bring the skin various ingredients to purify, moisturize it or give it radiance. 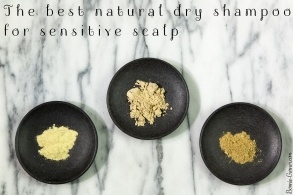 – it neutralises the drying effect of hard water you use to rinse your skin. Indeed, depending on where you live, the water can be very hard (or full of chemicals because it’s desalinated seawater like in Dubai) and after a while it can irritate your skin. 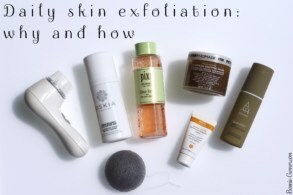 Using a product to rinse it like a lotion, which is really adapted to your skin, can only be good for it! 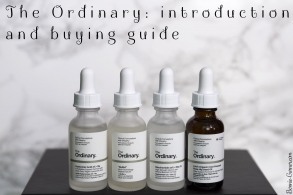 – it can restore the pH of the skin, which contrary to a popular belief, is not 7 or neutral. pH is the unit of measure of the acidity and alkalinity of the substances. Water has a rather alkaline pH, between 7 and 8. Most of the cleansers on the market also have an alkaline pH. However, a healthy skin has an acidic pH, varying between 4.5 and 5. Toners (especially, the acid exfoliating ones) help re-balance the pH of the skin, in short to acidify the skin. Why acidifying your skin is a good thing? 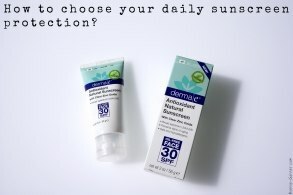 The slightly acid pH value of the skin comes from the natural layer of protection on its surface, called the acid coat. This protective layer is composed of microorganisms with which we cohabit in harmony. In every human body’s skin, actually live billions of bacteria from a thousand different species, as well as many fungi and yeasts. This micro-flora also stimulates the immune system, which is the protective shield of the skin. To maintain a healthy skin, it’s necessary to avoid destroying the protective capacity of this micro-flora. We can start by avoiding altering the skin’s natural acidity. Since tap water has a pH between 7 and 8, or alkaline, after simply washing with water, the skin can take up to six hours to regain its normal level of acidity (a pH of less than 5). It’s better to use a mild cleanser with an acidic pH but also to use an acid toner which will help to quickly rebuild this protective acid coat. – it also helps to keep the skin moist, which will help enormously with the absorption of skincare products that you will apply next. 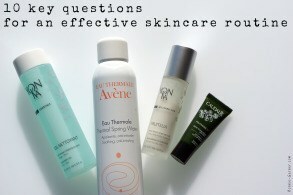 Indeed, a moist skin better absorbs skincare products you apply on it! For those who like gardening, imagine it’s like watering your garden. When the earth is very dry, the water from the garden hose runs off, it doesn’t penetrate the dry soil. However if the earth is already wet, it will “drink” much more water and go deeper. Well, it’s the same principle for the skin! 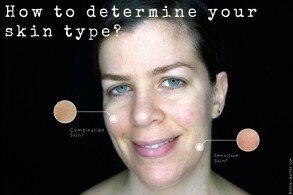 A moist skin, unlike a dry skin, will “capture” the moisturizing ingredients more easily from products you apply on it. You could tell me that you could also simply leave your skin wet after rinsing it with water, but as discussed, tap water is not necessarily ideal to maintain the natural protection of the skin, so it’s better to use a suitable product which respects its pH. You can use a toner morning and evening, after your make-up removal and / or skin cleansing. 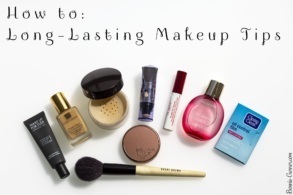 The method of application varies depending on whether it’s in liquid form or a spray (my favorite!). For a toner in liquid form, you just need to soak a cotton pad with the product and apply it by gently stroking the skin. No need to rub, it’s better to be as soft as possible! Personally, I’m not a fan of “exfoliating” cotton pads, I prefer to use ultra soft cottons to avoid irritating my skin unnecessarily. In both cases, don’t let your skin dry completely (see above), and apply your skincare products relatively quickly after. 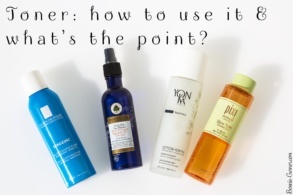 I love toners (as you understood, I think lol) so I have several I use in rotation! 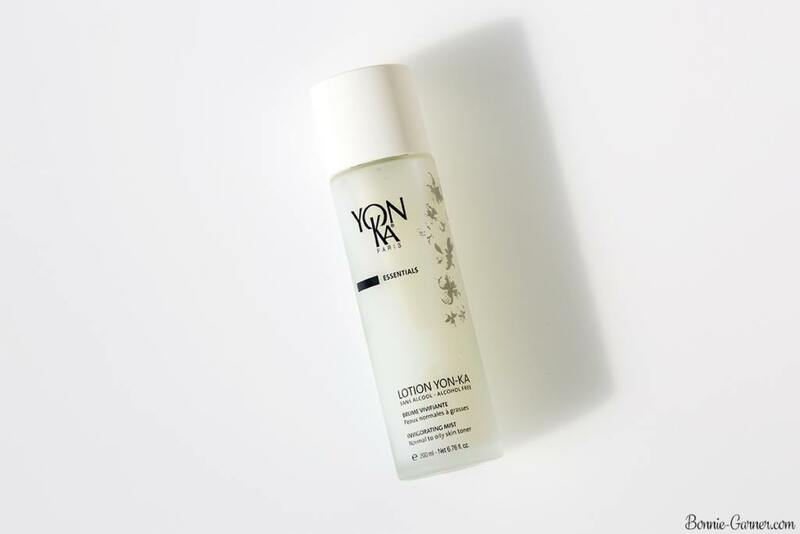 – The Yon-Ka Lotion: my absolute favorite for more than 10 years! It’s based on 5 essential oils (lavender, rosemary, cypress, thyme and geranium) and it smells like an aromatic garden, I love it! It exists in 2 versions that I use according to my needs. 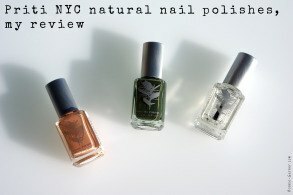 The dry skin version (the pink one) is the softest and more moisturizing. 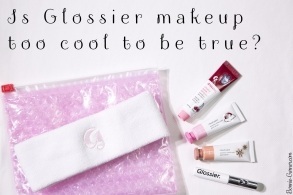 It leaves a light film of protective (non-greasy) glycerine on the skin. 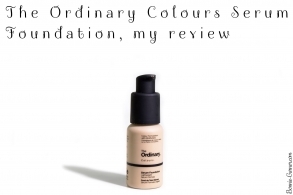 The combination to oily skin version (the white one, as seen in my photo) is more purifying because it contains a higher concentration of essential oils. Both re-balance and purify the skin but they’re also very soothing. They are both alcohol-free and presented in the form of an ultra-fine mist. A true joy to apply on the skin! 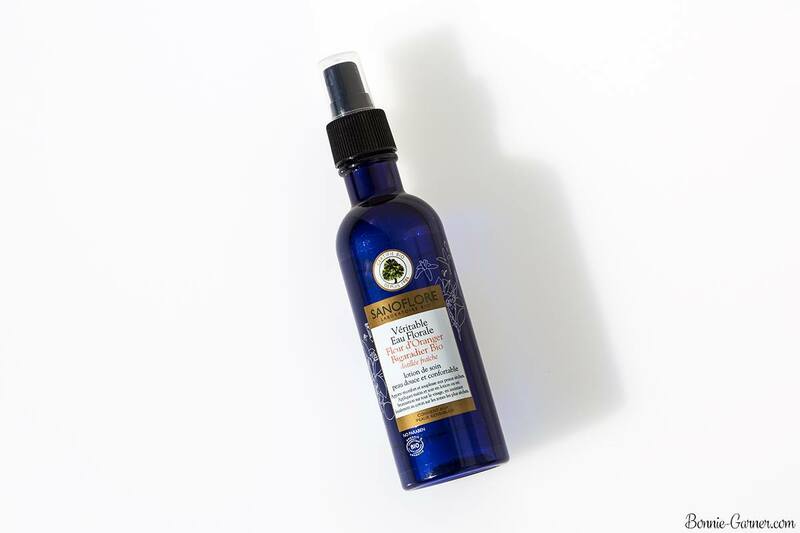 As they’re in spray format, a very little amount is required and each bottle lasts between 4 and 6 months depending on whether I use it once to twice a day. The Yon-Ka Lotion is available on the brand website for 27$ and you can also find it in the beauty salons which work with the brand worldwide. 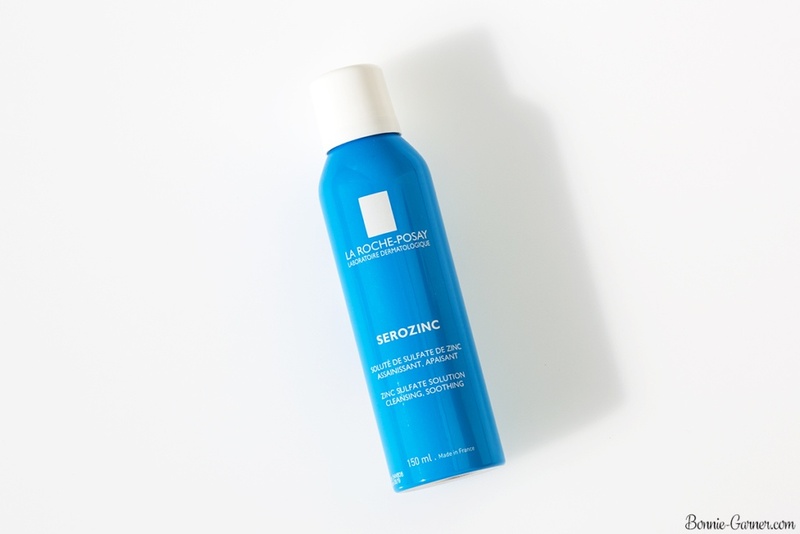 – Serozinc from La Roche-Posay: this is not really a toner but I use it like one. This spray of a solution of zinc sulphate purifies and calms the skin. It’s perfect for irritated and acne prone skin. 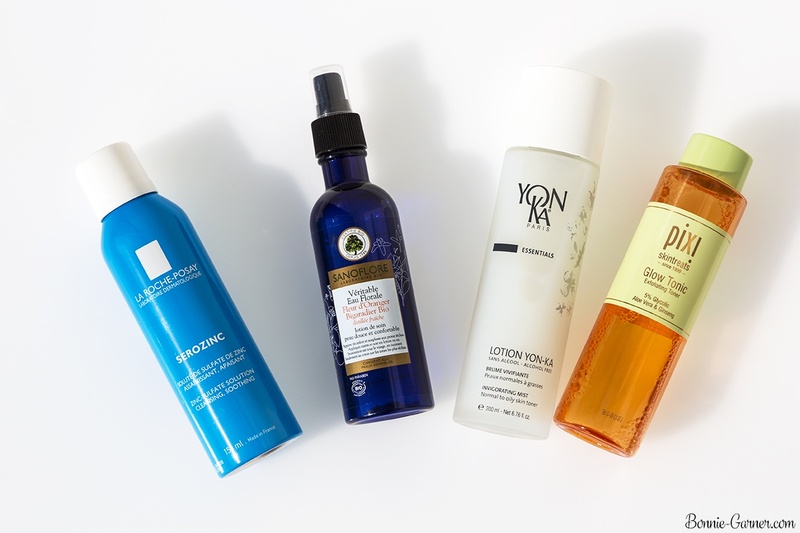 I use it morning and evening in the case of a bad skin crisis in place of my classic toner. I apply Serozinc as a toner, I mist it on my face and I massage with my hands a few seconds to make it penetrate. It’s very soft, and when applied, it feels very much like a thermal water (which is mostly the case, actually, even if it’s very enriched with minerals). It’s also a product that lasts very long, and it’s not very expensive: I find it in my French pharmacies between 5 and 6 euros (less than $5). – L’Eau de Fleur d’Oranger by Sanoflore (it’s a water of Orange Blossom mist): I’m cheating, it’s not exactly a toner, but more of a floral water. 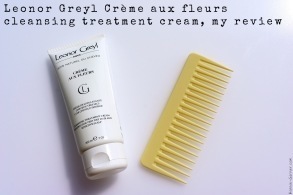 I use it when my skin needs softness, after I’ve done a scrub, or an exfoliating mask for example, or even in the day if I don’t wear make-up, to refresh my skin (it’s a mist). It’s mainly organic orange blossom floral water, which has calming and soothing effects. I don’t really consider it an essential product but more like a nice addition to my skincare routine (I love the scent of orange blossom!). This brand is only available in France, I’m afraid but you can find these kind of floral water in most organic shops (here, for example). 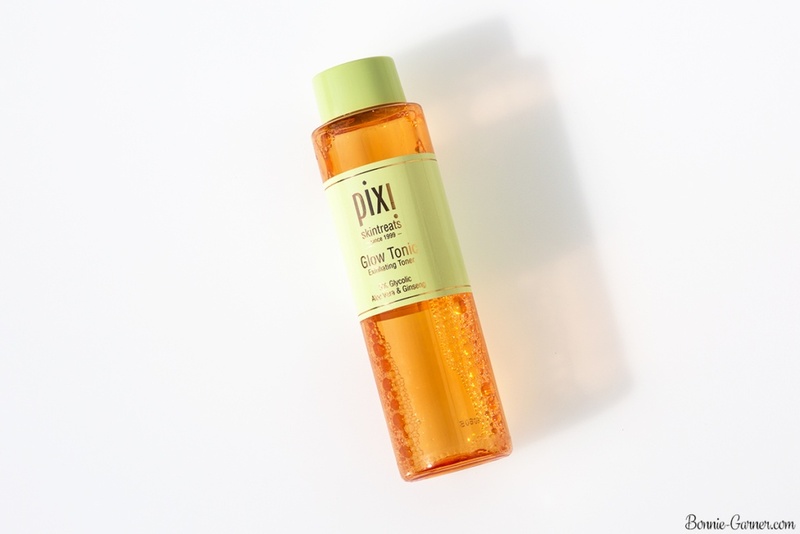 – Pixi Glow Tonic: it’s a treatment toner, more anti-aging than the previous ones. Glow Tonic is a non-alcoholic exfoliating acid toner with plant extracts and glycolic acid (not a big concentration, it’s quite soft), which I use with a cotton pad after I remove my make-up and cleanse my face. This toner is very soft, so it can be applied every night. 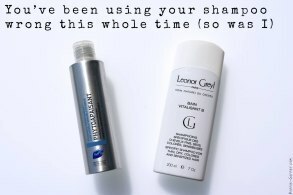 I use it especially when I find that I look tired (so… well, all the time! wink ) because it brightens the complexion. It usually lasts me for months because I only use it once a day. 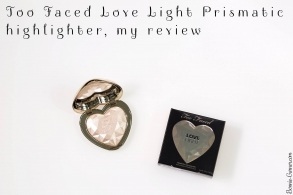 I avoid the eye contour with this one because it can tingle very slightly on the areas where the skin is finer. Pixi Glow Tonic is available on the brand website for $23. And you, do you use a toner in your skincare routine? Which one is your favorite? When I am feeling lazy my toner is always the first to go in my skincare routine but I find that when I consistently use it (the Mario Badescu Glycolic Acid Toner) it makes such a difference in the way my skin looks! Great post! I use a soothing/hydrating and exfoliating toner morning and night. Not sure what I would do without them!